Are you ready? 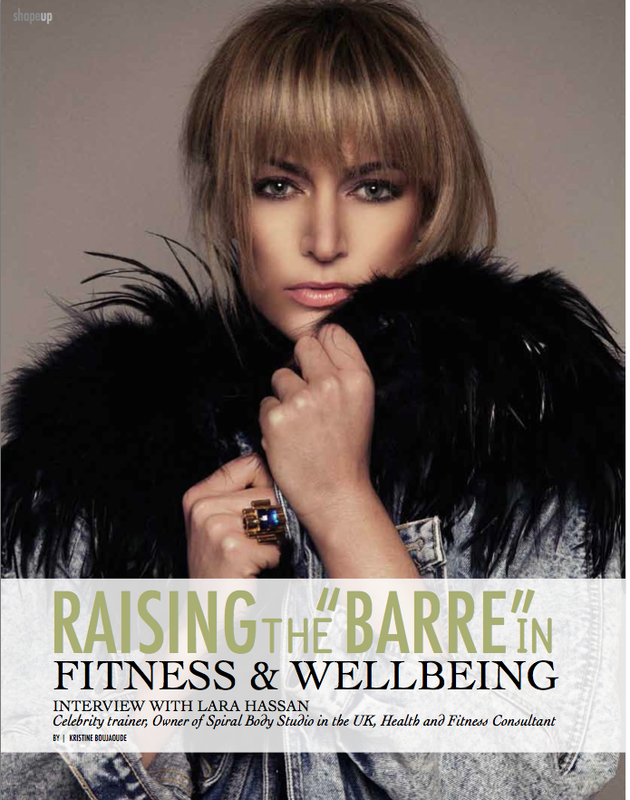 We have just collaborated with health and fitness guru Lara Hassan. Being working mothers and busy running a home sometimes we find it hard to find the time to better our bodies. With often times not having a moment to sit down and eat a healthy prepared meal we end up eating unhealthy food on the go and making no time to work out. And we just wanted to know how and when to bring a healthier lifestyle change into our daily and family routine. And after speaking to many mums we know we aren’t the only ones who face this problem. And that was why we were super excited to collaborate the well known Lara. For Lara the body and well being is more then just a career for her, its a passion. With years and years of studying and dedication to the body and mind Body by Lara was born. The Body by Lara program isn’t just a normal work out; research, love, dedication and passion has gone into Body by Lara. LH: “The base of my research is on the link between exercise and antiaging since it has become a worldwide obsession and on how exercise affects the body on a cellular level; body by lara is the outcome”. RM: What exactly is Body by Lara? LH: “Immediate, measurable change in DNA. Immediate genetic activation that increases production of fat busting enzymes. It helps improving blood sugar regulation, so it is great for people who suffer from diabetes. However, high intensity work could be hard on the joints for those who do not have a sound knowledge to use their body or for those who have gone past a certain age, and they still need to do cardio. Pilates and core work that is involved in the method there will be no risk on the joints. Gyrotonic, Garuda and add the three dimensional movement patterns and the beautiful qualities that dance has. The base of my method is interval training and circuits that run through the body using exercises from the methods I have been teaching for years. It is the method based on what works for people physically and mentally”. I trick the body and the person that might have lost interest in exercise to work and actually enjoy what they are doing. RM: When you are not exercising, what do you do in your spare time? LH: “When not reading, I cook. In cooking I unleash my creativity, love and passion for life. I connect with the Earth and with the people with whom I share the experience of eating. It allows me to experiment and discover, to create my own ‘designs’ on the plates, to play with flavors, colors and smells, to enjoy and, more importantly, to share”. RM: Can you tell us what makes you so passionate about exercising? LH : I have always enjoyed waking up filled with energy, feeling light on my feet and strong. Good exercise and nutrition were the only two things that ever made me feel this way. My father is partially to thank for that; a military man who posed to myself and my siblings a strict daily exercise regime. Without realising, I was already introduced to one of the basic rules of exercising: awareness and mental discipline. Years of exercise, dance and experimentation with different types of work-out led me to a career as personal trainer in London. Personal training allows me to combine all my passions: exercising, inspiring and communicating with people, healing physical and emotional maladies, and supporting people’s healthy growth.